The compact and lightweight design begins with the use of only 3 AA alkaline batteries and yet produces over 162 lumens of brilliant light. 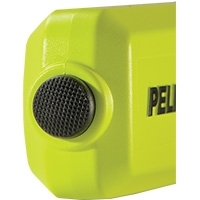 Safety certified for use in most volatile work environments. 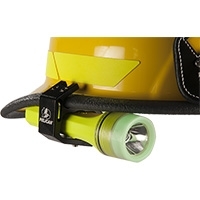 The rear mounted switch make the 3325 a perfect match for any helmet mounted applications. The photoluminescent (“glow in the dark”) shroud ensures you’ll be able to locate your light even in the darkest of conditions. 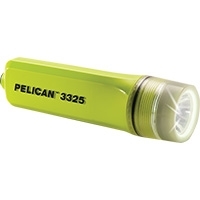 For added reliability, an IPX7 ingress protection level will protect the 3325 in the most severe weather conditions. 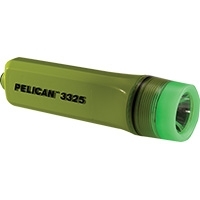 Backed by Pelican’s Lifetime Guarantee makes the 3325 a true value!